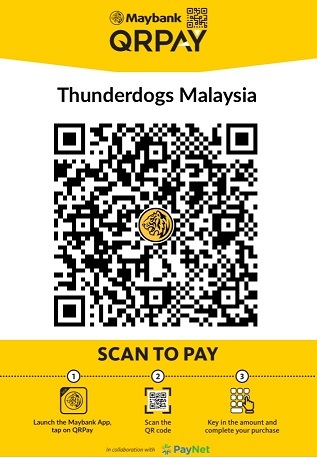 Thunderdogs Malaysia: FIREWORKS MAKING YOUR DOG(S) ANXIOUS? FIREWORKS MAKING YOUR DOG(S) ANXIOUS? 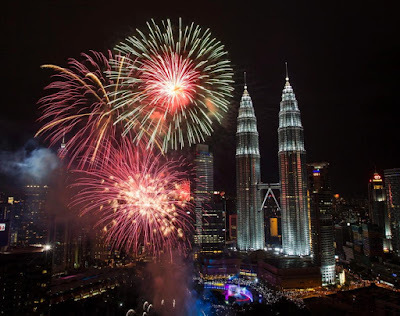 It is the season for fireworks again. And while we humans enjoy fireworks, our four legged companions often do not. 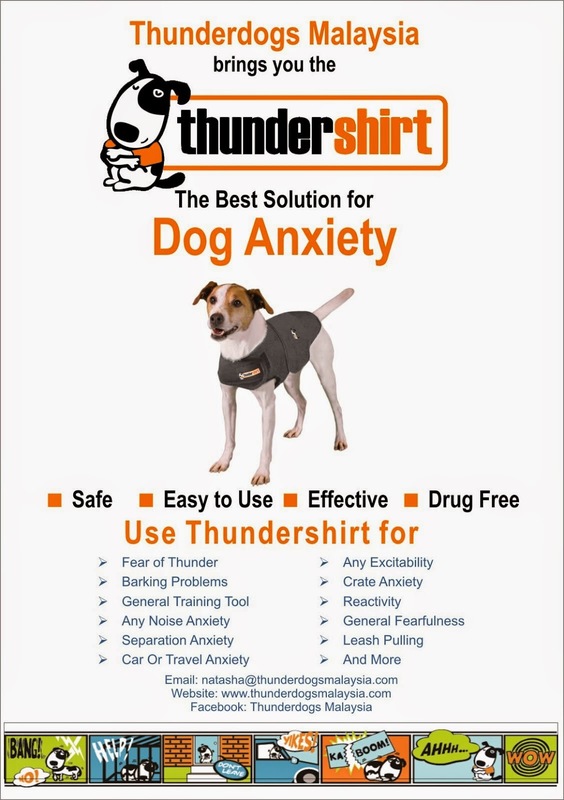 Put a Thundershirt on your dog at least half an hour before the fireworks are due to start. Try to act and behave as normal, as your dog will pick up on any odd behaviour. Remain calm, happy and cheerful as this will send positive signals to your dog. Reward calm behaviour with doggie treats or playing with toys of interest. Check where and when displays are being held in your local area. Also ask your neighbours to let you know if they are planning anything. Consult your vet if your dog has any health problems or is taking any medication before giving remedies to help him cope with fireworks night, and always follow the manufacturers' instructions. Feed your dog a while before you expect any disturbances, as once the fireworks start your dog may be too anxious to eat. Walk your dog before dusk. It may be some time before it's safe to venture outside again for your dog to relieve himself. Your dog might choose to hide under the bed. If he or she comes to you for comfort, make sure that you give it to him/her. Ignoring your dog would only make things worse as he or she wouldn't understand your withdrawal from them. Keep a collar and ID tag on your dog. Take your dog to a firework display, even if your dog does not bark or whimper, don't assume he or she is happy. Excessive yawning and panting can indicate that your dog is stressed. Try to force your dog to face his fears - he'll just become more frightened.